The footprints of the restaurant’s history start up in 1947. It was the first restaurant that functioned in the city afterwards the release. Initially they gave it name “Dew” because the space was also continues being from coolest the city under the flowers and oleanders. The tavern fast distinguished from tastily cooked and gained the preference of local but also hundreds of visitors, Greeks and foreigners. A delicious journey at Kos Town. 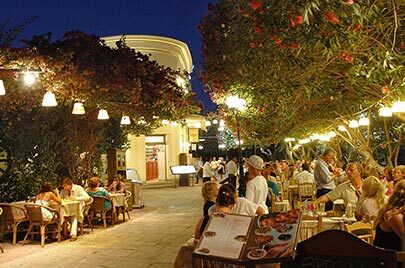 Restaurant Select was renovated completely in 1998 from the householder Mr. Sotiris Vorrias. You will easily find us in front of the gate of tax, (it is the arch with the flowers and few metres from the square of Freedom, in a total from impressively older and newer cultural monuments. During evening the space of restaurant is transformed from quiet to more live and busy. 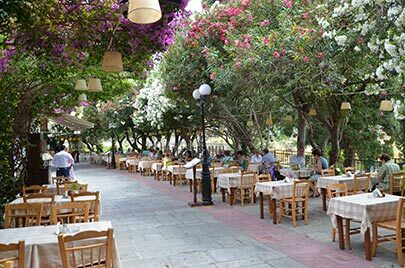 You are found in the suitable point to enjoy your dinner and from here beginning splendid evenings of amusement in the famous bar street (Exarchia) of Kos. The restaurant functions from the 9 morning until 12 midnight everyday during summertime and soon will be near you all year round. The fact that the Select Restaurant rated "excellent" on TripAdvisor is a vindication of our efforts.